Welcome to Tuesday Blog Share. Today, we’re going to be talking about a major giveaway. 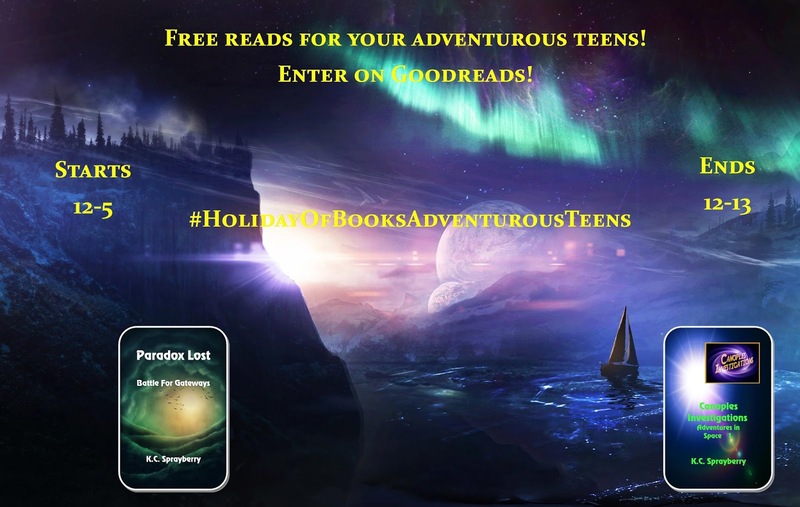 Are you still searching for a special gift for your teen? Have you thought about ebooks? Your teen can read them on the Kindle app on their phone. And, what’s even better, if you click the link below, you have the opportunity to get not one but two ebooks that will keep them happy for hours! That’s right. It’s giveaway time again. This time, for the Holiday Of Books, we’re going to focus on teens. Canoples Investigations Adventures in Space 1 covers this intrepid group of teen space investigators as they solve one mystery after another on Canoples Station. 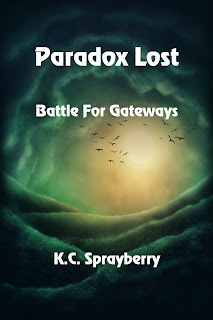 On the other hand, if your teen or teens are more into time travel and fantasy, Paradox Lost Battle for Gateways is probably more their style. Triplets have to figure out how to rescue their father, trapped beneath a building as the 1906 San Francisco earthquake is about to start while also dealing with new powers that not only enhance what they already have but are setting them up for a monumental gift.